The Voice of America (VOA), U.S. taxpayer-funded international broadcaster can barely adequately cover news for foreign audiences it is required by law to serve, but top VOA managers are now burdening overworked reporters to get their programs ready for distribution in the United States. Questions are being asked whether assigning such work to reporters without planning to seek sufficient reimbursement from potential domestic users, if there are any, would not violate the law. Critics also worry how these additional domestic programming burdens might affect production of VOA news for foreign audiences. The new controversial law, the Smith-Mundt Modernization Act of 2012, only grants VOA and other BBG officials the right to distribute their programs in the United States upon request. There was no provision in the new law for government officials authorizing, not authorizing or actively marketing VOA and Office of Cuba Broadcasting (OCB – Radio and TV Marti) programs in the United States. 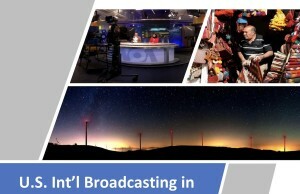 By law, VOA and OCB also cannot produce programs specifically for domestic distribution. The new law was included as Section 1078 of National Defense Authorization Act (NDAA) for Fiscal Year 2013 (Public Law 112-239). 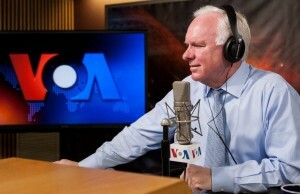 While the Broadcasting Board of Governors has been authorized by Congress “to establish procedures to maintain such material,” the management has reduced the number of VOA reporters to such a critical degree that Voice of America is no longer able to provide even minimal original coverage of some of the most major news stories, including some important news events in Washington. This has forced Voice of America to rely more and more on third-party content which now has to be documented to get it ready for possible distribution to radio and television stations in the United States. It is a complete nightmare for overworked VOA broadcasters and reporters. This additional and tedious non-programming job has now been assigned to VOA reporters, while foreign competitors such as BBC, Al Jazeera, Russia Today, and China’s CCTV are beating VOA in international news coverage and social media audience engagement many times over because VOA no longer provides interesting original reporting on news stories that matter to international audiences. 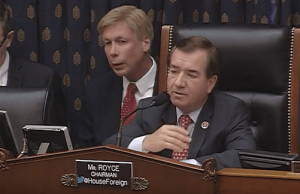 Critics have predicted that the agency’s management will take advantage of the new Smith-Mundt Modernization Act to undermine reporting for foreign audiences and will focus attention on the domestic U.S. market. Agency executives deny that this is their intention, but this is exactly what is happening right now. Critics also predict that the discredited management will fail in their domestic news distribution project as well. If the agency were to comply with the law, these costs could be enormous considering tremendous amount of time agency officials have already spent on setting up these procedures, are likely to spent on administering the program, and the valuable time of reporters who have other things to do but now must now document every third-party content in VOA broadcasts. Interestingly, the new instructions issued by the VOA bureaucracy do not require VOA reporters to document how much time they are spending getting programs ready for domestic distribution. Our guess is that U.S. taxpayers will foot the bill for distributing these programs in the United States, which would be against the law but will no doubt occur. Sources told BBG Watch that “very simply, Voice of America reporters think it is an enormous waste of time.” “It’s also a waste of time on the other end for the intended targets: U.S. radio and TV stations. Spending hours getting clearances and paying for them? No one at “ground level” (the people doing the work) has time for this” a source said. It would still be illegal for the agency to pay for third-party copyrights so that others could use Voice of America and Office of Cuba Broadcasting programs in the United States without worrying about legal issues. Voice of America has fewer and fewer reporters who produce less and less original content. Such original content would not present this problem because anything produced by federal employees at the Voice of America is already in the public domain and anyone can use it. Now these reporters who can barely do their primary job will have to comply with additional bureaucratic demands and instructions. By law, the agency should demand from those who request such programs in the United States a reasonable reimbursement of VOA employees’ time in getting these programs ready for domestic distribution. Such fees would have to be astronomical. But considering that VOA is offering less and less original coverage — who is going to request such programs, worry about copyrights, pay for them, and in addition pay Voice of America for getting these programs ready? 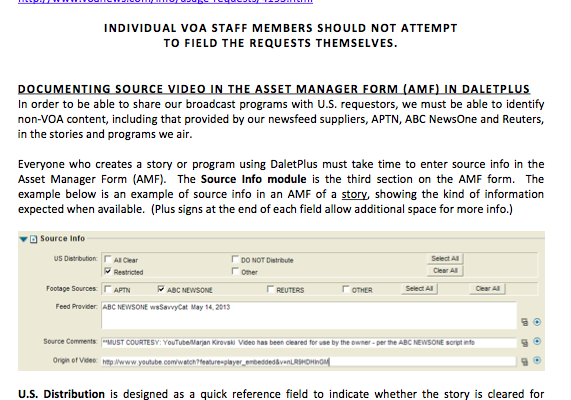 It is an insane proposition, but top executives will no doubt insist that VOA reporters take on yet another bureaucratic task as described in a seven-page memo (this memo is subject to changes. If you are interested in this process, contact Voice of America for further information). The memo was sent to BBG Watch by VOA employees with a request to post it so that American taxpayers can see their dollars at work.